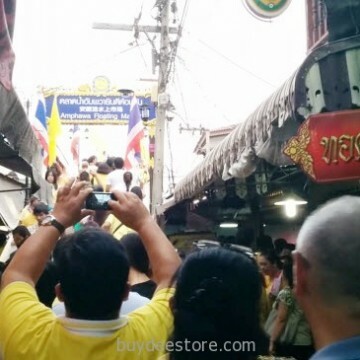 Home Page | Archive by category "Travel and Tourism"
Amphawa Floating Market is located near the canal and Wat Amphawan Chetiyaram , where parking is provided. It is open every Friday, Saturday and Sunday during 14.00-20.00. 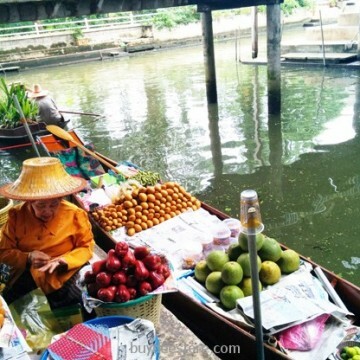 The Amphawa Canal is brimmed with boats loaded with drinks like O-Liang (Thai iced black coffee) and foods such as fried sea mussels, noodles, and sweets. Bank-side wheelbarrows also offer goods for sale. Amphawa Floating Market is filled with relaxing atmosphere with oldies song played along all evening. 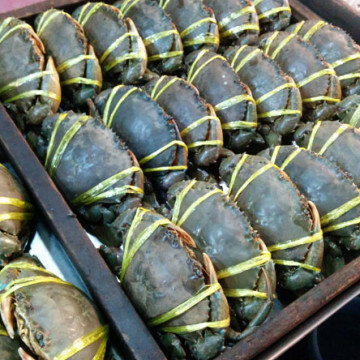 Visitors can explore the market, tasting the local food, as well as hire a boat at night to watch as pretty fireflies lighting up the sky.